Rahul Gandhi thanked the voters after the results of the Karnataka Assembly Elections 2018, he also appreciated the hard work and the dedication of the party workers. It was the Congress President's first reaction after his party dramatically staged a turnaround from a stage of being written off by forging an alliance with the Janata Dal-Secular (JDS). The Congress might have failed to weave magic in the Karnataka Assembly polls where the party suffered a major downfall not managing to attain triple figures with the Bharatiya Janata Party emerging as the single largest party with the maximum number of seats. 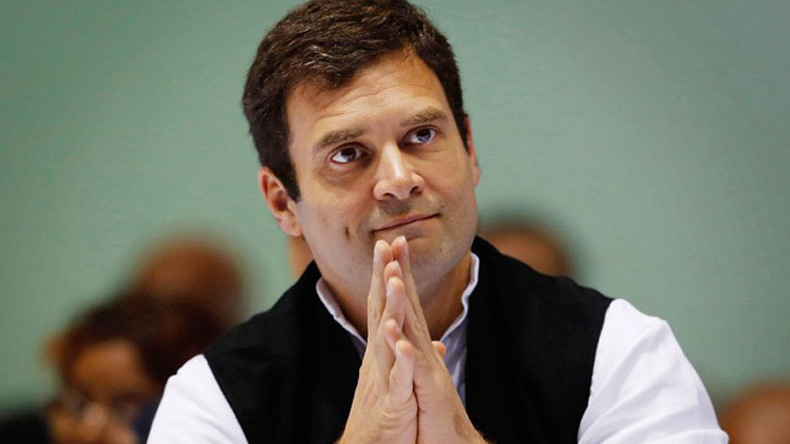 It was another sublime failure for Congress President Rahul Gandhi who had prior to the results asserted confidently that the Congress will comfortably retain power in the state, however, to his dismay, the party now is dependent on Janata Dal-Secular JD(S) to counter BJP. In his first reaction after the Karnataka results, the Congress President thanked the party workers and voters. While the early tone of results had predicted a complete Congress wipeout with the BJP leading on over 120 seats at a point in time, as the day progressed a turnaround was embarked. BJP’s hopes of forming the government were dented when the JD(S) accepted Congress’ invitation to join hands on the mutual agreement of HD Kumaraswamy as the Chief Minister candidate of the Coalition government. With some hopes of retaining the state, Rahul Gandhi acknowledged the dedication and the untiring hard work of the party workers and assured the voters that Congress will fight for them. “A big thank you to all those who voted for the Congress in these elections. We appreciate your support and will fight for you,” tweeted the Gandhi scion. “Thank you also to our workers and leaders for their dedication & untiring hard work in support of the party,” he added. A big thank you to all those who voted for the Congress in these elections. We appreciate your support and will fight for you. Thank you also to our workers and leaders for their dedication & untiring hard work in support of the party. The Karnataka Assembly election results took a dramatic drift in the second half of the day with BJP’s lead falling heavily. Meanwhile, JD(S) emerged as the kingmaker with close to 40 seats and was quick to say yes to Congress who with around 75 seats were looking for an alliance to stop their eternal rivals. With no party elevating to complete majority, Karnataka will have a hung assembly with the Governor keeping the right to offer the single largest party or the single largest group to form the government in the state.